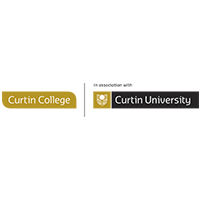 Curtin College one-year diploma courses provide entry into second year of a selected bachelor degree at Curtin University, Westerns Australia largest University. Our high quality courses are equivalent to first year university-level study and small classes ensure students receive extra help and support when needed. Located on campus, Curtin College students have access to Curtin University facilities and students experience university life from day one. The campus is culturally diverse, with around 1,200 students from 41 countries. Curtin College has helped over 9,000 students realise their dream of attaining a Curtin bachelor degree and is the only on-campus pathway into one of Australia’s top universities. At Curtin College you’ll enjoy lots of benefits, like world class training and the opportunity for career advancement. Curtin University is one of the world’s top universities under 50 years of age – as ranked by QS for 2016/17. Curtin University is ranked among the top one per cent of the world’s universities in the Academic Ranking of World Universities 2017 (ARWU). Curtin is ranked among one of the world’s most international universities, and the second-most international university in Australia by Times Higher Education (2016). For more information, visit curtincollege.edu.au or email us at info@curtincollege.edu.au.